Desenberg Block, Kalamazoo | ride. travel. live. 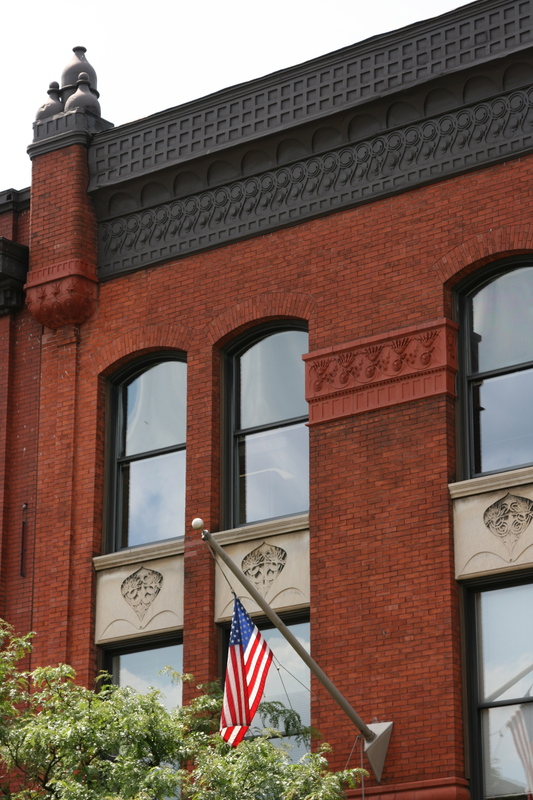 This is one of Adler and Sullivan’s lesser-known works, located on East Michigan Avenue in downtown Kalamazoo. 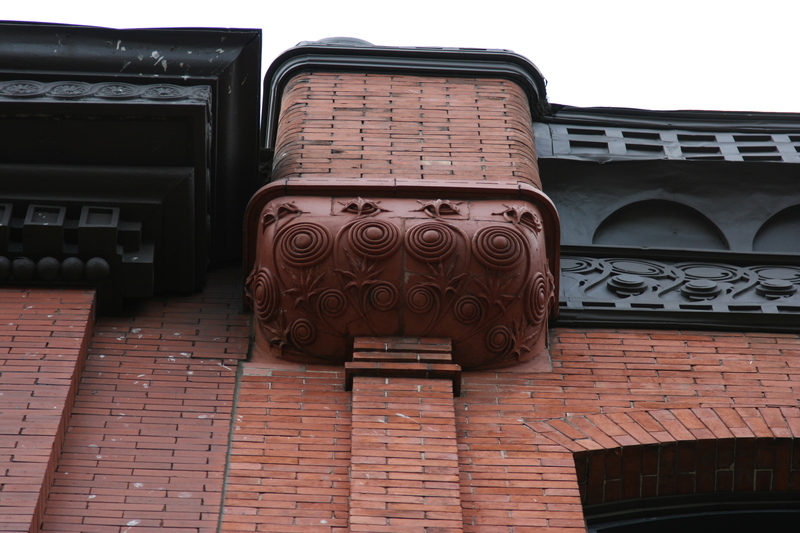 Completed in 1887, like most of their smaller commercial and residential commissions, Sullivan’s use of decoration is restrained, although still full of elements that elevate the work. The turrets at the top are whimsical, with a bit of the Oriental to them, topped with three cupolas. Originally a freestanding structure, it has since been surrounded by other buildings that form a harmonious group of late 19th-century commercial structures.